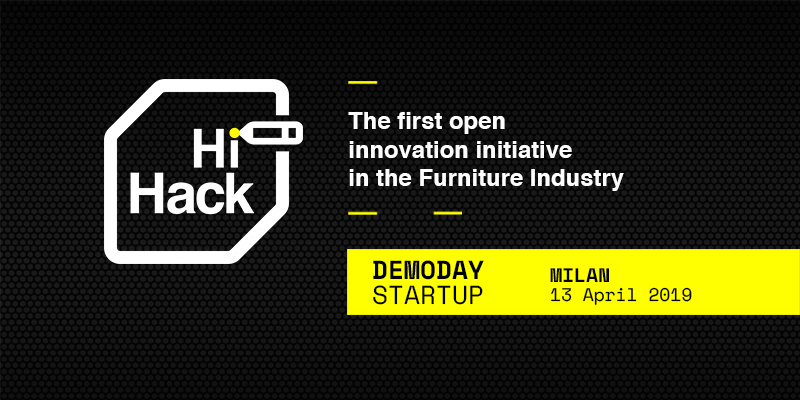 SIB is partnering in Hi-Hack, the first Open Innovation and Digital Transformation Demoday of Italy’s furniture industry. Organised by Hi-Interiors and Price Waterhouse Coopers, the event is to take place on 13 April 2019 during Milan’s Salone del Mobile. Top brands of Italian design, major tech companies, designers and startups will meet to create a movement of contamination and digital transformation for the Italian furniture industry and discuss open innovation. Speakers include Patrick Oungre of Price Waterhouse Coopers, Lorenzo Ticli of Sella, Daniele Pes of Innovits, Francesca Brescia of Korian, Michele Carlet of Checkupm Filippo Zanetti of IBAN and attorney at law Mario Pozzi of SIB LEX, law firm in partnership with SIB Società Italiana Brevetti. The discussion is to be moderated by Emil Abirascid, founder of Startupbusiness and by Domenico Greco, Investor Relations & Open Innovation Specialist of Hi-Interiors. Book a seat at the event: see you there!